The Oil & Gas UK Fishermen’s Compensation Fund was established by the United Kingdom Offshore Operators Association in 1975 following pressure from the Scottish Fishermen’s Federation to address the issue of unattributable debris from oil activity in UK waters. The purpose of the fund is to provide a means of redress to skippers who have suffered loss or damage to fishing gear caused by oil-related debris where the oil company responsible cannot be established or where the incident occurred in an unlicensed oil block. Where the damage can be attributed to a specific company, any claim should be pursued directly with the relevant company. If a claim against a particular operator is unsuccessful, an application may then be made to the Oil & Gas UK Fund for consideration. The fund deals only with claims from British fishing vessels arising from incidents occurring within the UK Continental Shelf (excluding the statutory safety zones surrounding offshore installations and properly declared suspended wellheads). The fund is financed by Oil and Gas UK (OGUK) and managed by a committee of representatives of the UK fishing industry. The committee meets regularly and has absolute discretion in dealing with all claims. There is no appeal against the committee’s decision. The committee comprises of number of skippers, representing the Scottish Fishermen’s Federation and the National Federation of Fisheries Officers. The current chairman is experienced skipper and present SFF industry advisor, John Watt of Fraserburgh, with OGUK and the Scottish Fisheries Protection Agency attending as observers. All settlements are determined by the Oil & Gas UK Fund and in no way implies acceptance of any legal liability on the part of Oil & Gas UK or any of its members and is made upon the understanding that the claimant waives all right to claim against any member company of OGUK. 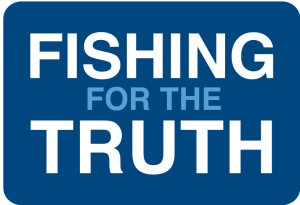 Claim forms and guidance notes can be obtained from all UK Fishery Offices. Following an incident, all details should be recorded in the logbook (date, time and location of the occurrence and whether an attempt was made to bring the debris ashore). Where possible the debris should be photographed. Where another fishing vessel has witnessed the incident a corroborative statement should be obtained from the skipper. Upon return to port the skipper should report the incident to the fishery officer and request that he inspect any damaged gear and any debris recovered. The fishery officer will supply compensation claim forms. The fishery officer may be able to establish the oil company responsible allowing for a claim to be made directly. The fishery officer may also be able to advise on the completion of the Form. The completed claim form should be sent to the fishing liaison officer of the relevant oil company or to the Oil & Gas UK Fishermen’s Compensation Fund (see below). Part I of the Written Claims Procedure must be submitted within 14 days of the vessel’s return to port following the incident. Upon receipt of the entire claim documentation (including photographs, corroborative statements and receipted accounts in support of claim excluding recoverable VAT) the oil company will respond within 14 days. Where the debris is recovered, representatives of the oil company must be given the opportunity to make an inspection. The skipper or his agent should make contact with the fishing liaison officer of the relevant oil company or with the UK Offshore Operators Fishing Liaison Group within 3 days of the vessel’s return to port to arrange an inspection. The fishery officer may be able to assist in the identification of the relevant personnel. Arrangements should be made for the debris to be retained for a period of 14 days. Where it is not possible to establish the relevant oil company, claims should be submitted to the Secretary of the Management Committee, Oil & Gas UK Fishermen’s Compensation Fund, c/o Scottish Fishermen’s Federation, 24 Rubislaw Terrace, Aberdeen, AB10 1XE.